Heritage has become a key element of the development of cities and an asset for urban renewal strategies. Historic neighbourhoods and cities have become valuable spaces because of their sense of place, the concentration of cultural activities that reflect local identities, and the increasing economic relevance of global cultural tourism (Bandarin and Van Oers, 2012). However, the production of heritage is not a neutral process. It implies a process of reinterpretation of the past in order to engage with the present. In consequence, it is also about challenging existing power relations and transforming how communities are perceived and classified (Smith, 2006). In this context, critical literature recognises two main approaches to the production and conservation of heritage, each of them related to different scales. The first one refers to the production of global heritage supported by international organisations such as UNESCO and/or national governments. This process is mainly carried out by authorised experts, creating an official heritage discourse (Harrison, 2010). This approach has been criticised for leaving out local communities from the production of heritage, and even from heritage sites themselves (Bianchi and Boniface, 2002); nevertheless it has also implied the access to conservation funds and plans that would hardly have been accessed by other means. It has also been criticised for focusing mainly on the tangible heritage, i.e. buildings and facades, leaving aside the intangible aspects of heritage, represented by the use and practices carried out in the physical spaces (Bandarin and Van Oers, 2012). A second approach refers to the production of unofficial discourses of heritage, mainly at a local level. This approach emerges from the actual relationship of people with objects, places and practices, and therefore it constitutes a bottom-up approach to the production of heritage (Harrison, 2010). A good example of production of heritage at a local level has occurred in the Barrio Yungay, located in the city centre of Santiago, Chile. The neighbourhood was built during the 19th century and it was one of the first planned neighbourhoods of the city. It was originally inhabited by upper and middle class families, but during the late 19th century it became a workers’ neighbourhood, characterised by the presence of cités, a continuous construction of one flat houses with a central common space and one or more accesses to the street. 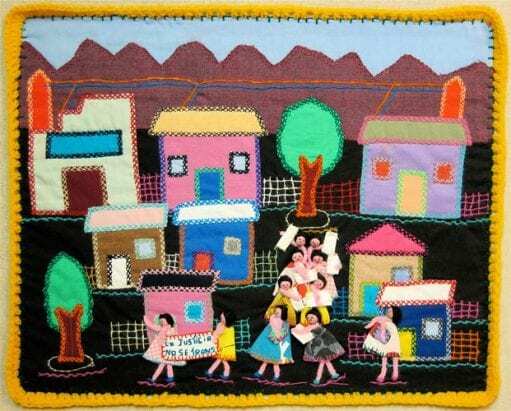 During the last decade, residents of Barrio Yungay formed Vecinos por la defensa el Barrio Yungay (Neighbours in defense of Yungay), an organisation that intended to protect the neighbourhood from real estate pressures. After presenting a request with more than 2000 signatures, the neighbourhood was declared typical zone by the Council of National Monuments in 2009. This status prohibited the construction of multi-storey buildings and other potential alterations of its traditional buildings, among them, the cités. Since then, there have emerged many movements that have focused not only on the protection of houses and buildings, but also on the intangible heritage of the neighbourhood. An interesting initiative is the Fermín Vivaceta Arts and Crafts School founded in 2010. This was a community project that arose from the need to train people to conserve and restore the architectural heritage of the neighbourhood after it was declared a typical zone in 2009. Additionally, the earthquake that occurred in 2010 affected many buildings in the area, intensifying this need. The proposal was supported by Neighbours in Defense of Yungay. 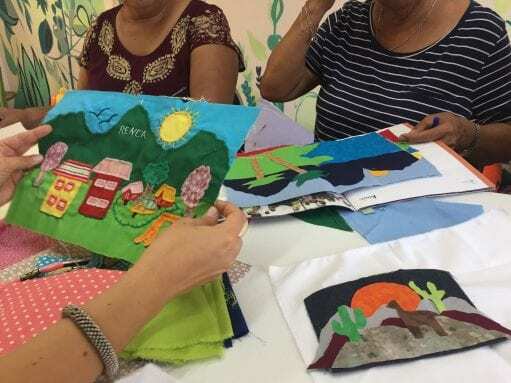 It has been focused mainly in teaching traditional crafts to young residents of Yungay with the aim of conserving the heritage of their own neighbourhood. The most recent community project related to the protection of heritage is a Community Museum inaugurated in 2015. The museum is located in an old house that was donated by residents of the neighbourhood to the Yungay Neighbourhood Association. This is the first museum of its kind in Chile. It exhibits the history of the neighbourhood, some 19th century objects that belonged to the original house owners, and other objects and paintings donated by current residents. Thus, it intends to reflect the identity of the neighbours of Yungay. Finally, one of the highlights when visiting Yungay is the French Barbershop that has existed for over a 100 years. Not only has the building been preserved, but it still functions as a barbershop. During the 1990s the building was restored adding a bar and a restaurant that now attracts mainly tourists. Residents of Yungay have managed to protect its tangible and intangible heritage, gaining the support of local and national authorities that have contributed to its preservation. The neighbourhood is now a place that is highly valued by its cultural activities that reflect its local identity. It has become a neighbourhood that attracts the attention of visitors from other parts of the city and foreign tourists. Thus, the new challenge for residents and authorities is to transform this increasing interest in an opportunity to improve the well-being of residents, avoiding the threats of gentrification and touristification that may end up pushing away those who have always lived there. Bandarin, F. and Van Oers, R (2012). The Historic Urban Landscape: Managing Heritage in and Urban Century. UK: Blackwell Publishing. Bianchi, R. and Boniface, P. (2002). Editorial: The Politics of World Heritage. International Journal of Heritage Studies, 8 (2), pp.79–80. Donnachie, I. (2010). World Heritage. In: Harrison, R. Understanding the Politics of Heritage. UK: Manchester University Press. pp. 115-153. Harrison, R. (2010). What is heritage? In: Harrison, R. Understanding the Politics of Heritage. UK: Manchester University Press. pp. 5-42. Smith, L. (2006). Uses of Heritage. USA: Routledge. María Paz Sagredo just completed her MSc Social Development Practice at the DPU. She has experience working in consultancy and NGOs in Chile. She recently started working in community development projects in a Municipality of Santiago. She is also occasionally contributing in cultural heritage conservation initiatives.